People today spend more awake hours at work than anywhere else, on average 50 hours a week. Long hours behind the desk, in meetings, on the road with ‘grab whatever food is available and go’ habits has impacted American’s waistlines… and company’s bottomline. Workplace and personal wellness programs play a key role in maintaining and improving business success and profitability. Whether you are self employed, or run a multi person company, relations with customers, employees, vendors and other people that support your work efforts are directly affected by your state of health- and theirs. Health issues caused by being overweight, can result in loss of productivity, relationships, increase risk and liability on and off the job- and overall quality of life at work or at home. Debbra Sweet understands this. She’s lived it. She’s overcome weight and health issues that influenced her ability to run profitable businesses. She sees this same cycle effect other entrepreneurs too. Debbra believes that total ROI, success and profitability includes understanding how to ‘trim the fat’ in body, mind and business. She loves to empower others with the tools that helped her achieve vitality. If your income is dependent upon you -and your health is not at optimal levels for optimal and long term vitality– it’s time to take proactive steps towards implementing personal and/or workplace wellness programs. Did you know employee wellness is considered a potential high return on investment for employers due to rising health care costs? In fact, research now suggests businesses get an average of $3.48 back in reduced health care costs and $5.82 in lower absenteeism cost for every dollar invested in workplace wellness. Employers and entrepreneurs who live more healthy lifestyles have reduced sick leave, improved work performance, decrease health insurance costs, increased productivity and reduced overall costs. As a Certified Health Coach and Certified Herb Specialist, Debbra Sweet walks the walk here too. Her personal health circumstances was the driver behind all her education. Growing up and working in toxic environments effected her health on the inside. Her on the go life style, which in her early career included ‘grab what ever you can’ kind of foods- led her to being one who struggled with her weight for many years. This was compounded through an accident she had that brought about unexplained health challenges. She experienced first had the damage and toll on the body, mind and business lack of health brings. She has a passion for inspiring and coaching working professionals to be a leader in their own health first – to inspire others around them to do the same. Without your health and vitality, you simply cannot be your best in all areas of personal and professional pursuit. 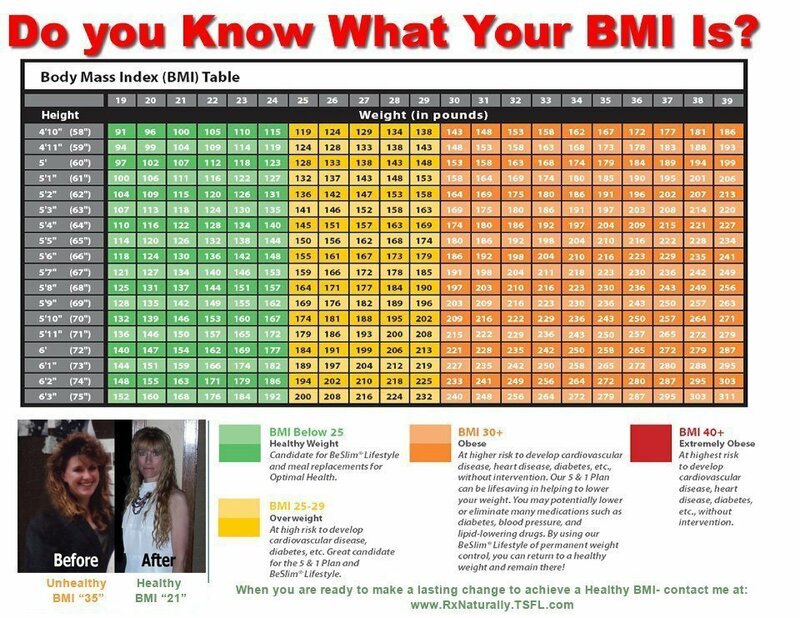 Reduce Waistlines…and Increase Your Business Bottomline. Busy professionals are frequently juggling closing sales, business growth and taking care of clients on the frontline while putting their own health on the back burner. Busy pros have a “Grab and Go” lifestyle that does not promote optimal health and well being. In fact most grab and go fast foods are based on convenience and not nutrition. Over time too much of these bad eating habits create a breakdown in your body that causes burnout, fatigue, stress and that leads to a slowing of your pace and lack of productivity. You don’t have to change the pace of your lifestyle or sacrifice comfort, convenience or taste in order to enjoy optimal health. For the fast paced pro there is a solution that is convenient affordable and tasty! And it’s perfect for the pro on the go. We’ve all heard that old saying: “To be fit and healthy you need to eat good food”. The million dollar question is what is “Good Food”? Is it food that is rich and flavorful or fancy restaurants and fine dining? Is it bland food or boring raw vegetables? Is it whole organic food? Not all foods are created equal. Just because it is rich and expensive or has an “organic” or “All Natural” label does not necessarily mean it has all the nutritional value your body needs. Are you living to eat or eating to live? This presentation is designed to show you how to make food choices that will help you achieve better wellness, reduces sickness and discomfort. Discover how your food choices play a huge role in your current state of health and well being. Despite the revolutionary medical advances in the 20th Century, great challenges still lie ahead in our fight against disease. Heart disease, cancer, high cholesterol, diabetes infections and antibiotic-resistant microbes are just a few of those challenges. Through this seminar you’ll learn how the body is designed to be strong and heal itself. Your organs act as a filtering system. By taking care of your internal systems and applying the “ABCD” (Activate, Build, Cleanse, Direct aid) Approach to Wellness you can remove the conditions that cause disease to happen. “When I first met you, I told you I had ‘succeeded’ with Weight Watchers 3 times. I’m excited to work with you and finally learn how to eat better so I don’t yo-you any more. In fact, we’ve only been working together for a 4 weeks and I’m amazed at how easy this is, how quickly my weight is coming off. Best yet: I don’t feel deprived of any thing! “Debbra, as my Health Coach, you are amazing. I am so thankful for your patience. I’ve worked with other coaches and they actually got angry at me, yelled and criticized me because some weeks I didn’t lose weight. You are incredibly patient, supportive and always encourage me in a way that gives me the courage and confidence that I can achieve my weight loss goals. Debbra, I chose you as my Health Coach because you’ve shared your weight loss story online and I see how you talk with others. I’ve been big all my life and I really wanted to make a change. However, I wanted to know that my Health Coach understood my issues and challenges, not just based on book knowledge, but with life experiences. I have not made it easy for you to coach me at times, but thank you for your patience and persistence. This has been quite a journey for me and I am glad I reached out to you. Although I live across the country from you and I travel, you always find a way to keep me on plan, focused and motivated to keep making changes for the better. Debbra: as you know I’ve proclaimed myself as your ‘worst student’ simply because I love to eat out. I know that belonging to a dinner club where they serve food that is not ‘on plan’ is not part of your normal approach, but I appreciate you being flexible and teaching me how to eat out and choose wisely. I’m happy that the weight is still dropping off and that this is actually really easy. The food tastes great and you are very supportive. I was referred to you by my cousin, and all I can say is Wow! Thank you! Being pregnant with my second child, diabetic and concerned that my first son is becoming pre-diabetic, I reached out to you to not lose weight but to keep my blood sugars stable during pregnancy. The customized program you developed for me, and the plan you made for my son are super easy and work great! After the baby is born, I will work with you till to lose my baby weight safely. I’m glad I met you. You’ve been a big blessing to our family. I had tried losing weight on my own, but with limited success. I’d lose it. Gain it. Lose it. Gain it. 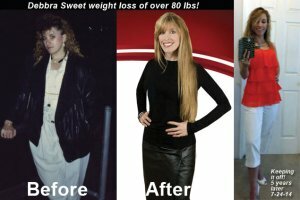 I heard about you Debbra, and decided that I would try working with you as my Health Coach. The support you give, the way you teach and the simplicity of this program helped me to lose 100 lbs -and I’m keeping it off! I love that your approach is not a diet, but a change in lifestyle and food choices. The fact I’m in Florida didn’t matter either. My favorite success week with you was when I went on my annual cruise (where I used to binge and always gain weight.) You prepared me to stay on plan and I was so excited when I came back, weighed in and saw I lost 8 lbs! Thank you for all you do and staying the strong and positive influence in my life to keep this weight off. Debbra, when we first met you saw me in my typical day: running around with my business from sun up to sun down. Often without a break in between. I would grab what ever food was available. As you saw, I was at least 40 lbs overweight and it has been effecting my ability to work a bit. When you told me about the program, I knew I wanted to try it. I was a bit concerned at first as to whether I could follow your program eating that often. You assured me that this was simple, doable and affordable. I gave it a go. Yep! You were right. This is an easy plan, I have saved a lot of money, I’ve gained more productive time in my work day. Best yet- the weight is melting off. Thank you for making it easy to work with you and your persistence to have our coaching calls in spite of my crazy work schedule.